Sujue enters the temple gets caught by his father’s men who got confused as they were expecting Shwenadaw to turn up and meets Qing Lian who welcomes him with open arms. Then An Ping Yang appears. Somehow in the scuffle , Sujue slid a blade into the unsuspecting Qing Lian and also kills An Ping Yang. Shwenadaw and Lanma Shandi tries to escape with the sacred drum but gets chased by her tribesmen who realised they were missing and so was the sacred drum. Lanma Shandi asks Shwenadaw to run away while she bravely confronts her tribesmen but they wanted blood. Shwenadaw returns with the drum, much to Lanma Shandi’s disappointment but they manage to talk it out and the tribe decided to give Shwenadaw a chance after deciding to believe him. Shwenadaw and Lanma Shandi makes it back to the camp and troupe with the sacred drum. King Yimouxun is most suspicious of Sujue, especially after finding out that Qing Lian and An Ping Yang were murdered at the temple. He feels Sujue is up to no good. He warns Shwenadaw who refuses to believe. Somehow, when he threaten to execute Sujue, Sujue put on a good show and pretend innocence. Sujue and his girls insisted on searching the belongings of everyone and they find some jade tag in Xiayun Xian’s belongings, put there by Sujue’s team. Mr Xia is blamed. Lanma Shandi wants to protect him but is unable. Ling Er, furious, shoots XiaYun Xian and refuses to listen to reason. King Yimouxun and Shwenadaw then chains XiaYun Xian in one of the carriages via hurting his scapulae . What hurts more is Ling Er does not want to have anything to do with him . Only Lanma Shandi tries to defend him and gives him food and water. Yeshaluo is in cahoots with Sujue. He is the person with the mask who visits her.. For two reasons.. To learn who her parents are and when it is over he will marry her so she can be the wife of the major general. He wants her to steal sacred drum. Sujue does not want to kill Shwenadaw. He kills the Guide.. The Tang guards at the Dove cote , Qing Lian and An Ping Yang. He confesses to framing XingYun Xian . Shwenadaw asks Yeshaluo to keep the sacred drum. She asks him for money first to fool Sujue when he notes an extra pack she was carrying. She then runs to exchange the pack of money for the sacred drum when he walks away. Lanma Shandi tries to free Mr Xia but he won't let her. He is adamant he wants to kill the Tang emperor for revenge. Exasperated, she leaves and Shwenadaw enters and admonishes him saying that he heard everything and Mr Xia has even more secrets then ever. She comes across something but is stopped by the head of the men. But he informs her that they are on the same side..
Hai Dong Lai kills Wu Sheng for killing all his men at the station and leaves. Sujue also leaves with his girls and men and gets lost in the earth forest. Shwenadaw and Lanma Shandi meets up with Yeshaluo and she goes and get info from Xia. General Karana agrees it is beneficial to let Tangs support but only wants it after he becomes emperor of Pyu. Sujue gets lost and Shwenadaw approaches general Karana to help save Sujue . karana is so worried and has not eaten too and agrees and says he will spare Shwenadaw if Sujue is rescued. They work together to search for Sujue. In desperation Hong Ni wants to kill a man for blood to save Sujue but Sujue won't let her. She then wants to cut her self and he throws the knife away. Sujue prepares himself to die but is rescued by Shwenadaw and his father. General Karana has a change of heart about his ambitions to usurp the throne. Yeshaluo tells shwenadaw she wish for her parents and how she wish they could sing her a lullaby. Shwenadaw tuck her in bed and told her to sleep while he patted her and sang to her. She scolded him. Sujue shows his true colours and Shwenadaw finds out Yeshaluo has been Sujue's accomplice all this while. He is however surprised that yeshaluo is keeping silent about having the sacred drum with her. Lanma Shandi is surprised to Xiayun Xian escape from his chains and is relatively unhurt when she thought his scapulae was injured by King Yimouxun's imperial soldiers, but it was a ruse to fool Sujue as King Yimouxun was suspicious of Sujue. Sujue wants to replace Shwenadaw by leading the troupe and wanting to create a whole new empire. Even General Karana and Captain Aman is shocked by his ambition and vision for war. 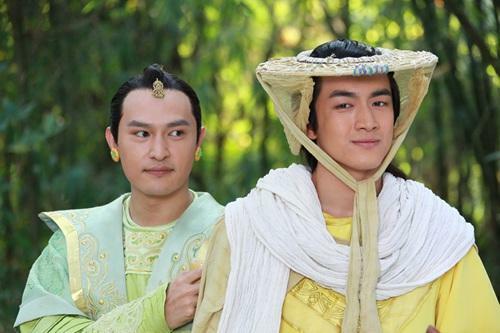 Yeshaluo makes a pact with Xiao Yao , one of Sujue's bodyguards to release Shwenadaw with the promise not to pursue Sujue's promise to marry her, knowing both Xiao Yao and Hong Ni are desperately and devotedly in love with him. Xiao Yao then helps Yeshaluo to free Shwenadaw. 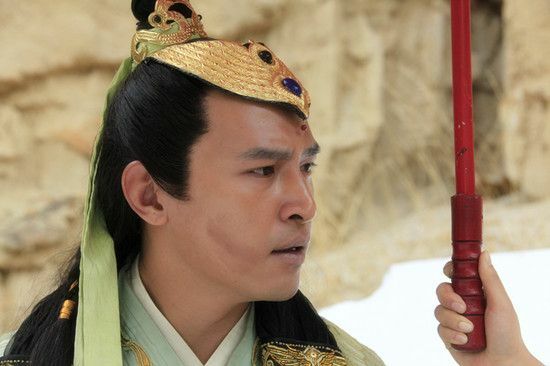 General Karana finds out that Sujue has killed his children and is treacherous and ambitious. Prince Shwenadaw explains what he finds suspicious and how he conspired with xiayun xian to fool sujue and his men Sujue is filled with remorse having killed Karana and vows to kill Shwenadaw too because he believes Shwenadaw’s action in asking his father to think of why Sujue might want to bribe his father’s guards 10 years ago caused his father to die. Captain Aman wanted to kill Sujue but Sujue overpowered him but released him as a last promise to his father. Captain Aman however vowed to kill Sujue as revenge for killing General Karana.